In a private press briefing this week Microsoft CEO Satya Nadella admitted that the Cortana AI was not really winning the personal assistant battle. It wasn’t even in second place. At launch, it was ahead of the competition but a failed mobile platform, stagnation in features and a limited global roll out have left the door for Amazon Alexa and Google Assistant to rule. 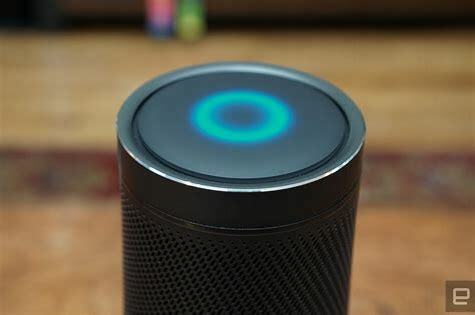 The Windows 10 update expected in March 2019 is likely to de-couple Cortana from search and potentially allow other personal assistants to live in Windows as equals. Zune music player – Never released globally. Groove music – a service that was called Zune, Xbox Music and then Groove. Never released fully globally and never had a family plan to encourage the use. WindowsPhone – Killed via constant reboots of the operating system and no consistent app ecosystem. Band – the fitness band that was always being repaired by its owners. Never released outside the USA. Windows RT tablets – took at $900 million write down. Discontinued. For the first 30 years of its life, Microsoft wanted to offer products and services to everyone. Apple envy was felt as the iPod and iPhone were greeted with religious enthusiasm but Microsoft products were not regarded as cool and bombed. However, both Bill Gates and Steve Ballmer, were CEOs that tried to keep Microsoft in every market. They were in the enterprise, small business and at home. They were “retail” CEOs wanting to sell to all. When Satya Nadella became CEO the world changed at Microsoft. One aspect of this was what markets Microsoft would cease to address. Nadella quickly decided to kill WindowsPhone and gradually removed consumer services that were not making the profits he expected. The share price soared. One of the few pure consumer services left is the Xbox. Nadella published a book with the title “Hit Refresh” in which he discusses the change in culture in more depth. The main thing I can see is the Microsoft is ending things it believes it’s competitors do better, partner with more people and seek to sell its services rather than things. Microsoft is now a wholesale business rather than a retail business. Consumers will see less of Microsoft and businesses will run on Microsoft services. This is incredibly frustrating for tech enthusiasts that follow Microsoft. There is little to get excited about. This is the new normal for Microsoft. They will have premium laptops and devices under the Surface brand. They will have Xbox and games. What they won’t have is the broad consumer portfolio of products consumers bought a few years ago. It’s Microsoft going wholesale and letting other people make a consumer offer.